StormX was founded in 2014 to help revolutionize and empower the global workforce. By leveraging blockchain technology and a gamified microtask platform, StormX is able to connect the global workforce with companies at scale and in an efficient manner. Beginning with their Storm Play mobile app, users are rewarded by completing various microtasks with Storm Bolts. When ready, users can then withdraw and convert this into the popular cryptocurrency of their choice—Bitcoin, Ethereum or Storm Token. By leveraging cryptocurrency, these microtransactions are not burdened with high fees that are normally associated with global transfers while empowering this global community. 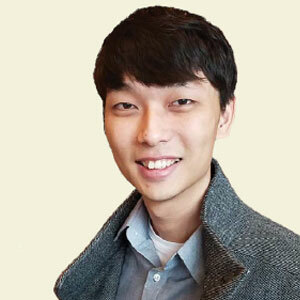 “Both the organizations and consumers worldwide can benefit by adopting the Storm Market model as a mechanism for commerce, as it helps them to connect and interact with significantly reduced transaction costs,” remarks Simon Yu, Co-Founder and CEO, StormX. Getting started is simple and requires downloading the Storm Play mobile app, registering with Storm (valid mobile number) and when ready to withdraw, a valid ERC-20 compatible wallet. There are multiple rewardable tasks for users which varies from completing surveys, signing up for popular services, installing and engaging with popular mobile apps (games are quite popular) to viewing brand advertisements. Given the increasing interest in cryptocurrency amongst main stream audiences, it’s no wonder this has become quite popular with consumers as a means to jump into cryptocurrency given the lack of risk, and of course, no mining required. “We have seen over 2.4M downloads of our Storm Play app, with engagement continuously increasing as we improve the overall experience for our users” cited Yu. Users may also earn rewards for simply referring other players, their term for users within this platform, which they see becoming more community driven in the long run. StormX’s mission is to enable their users’ ability to earn anytime, anywhere on any device. To help facilitate this mission, they have recently updated their core Android app on a React Native platform. This platform will give them a scalable solution for iterations down the line as well as making this experience into other platforms (web, iOS) even easier which is part of their vision as well. Also, on the horizon is expanding into the gig space, whereby users can complete task for other members of the Storm platform in exchange for Storm Bolts. These tasks can vary from designing a logo, data entry or even building a full-fledged web site. All built on top of this gamified and community-driven platform. From a brand perspective too, there is value in tapping into this community by not only saving on transactional costs but ensuring organizations have qualified and engaged users as well which has been a challenge within the traditional advertising market. “That’s our aim, connecting and engaging parties together directly,” states Yu. The product is also more cost efficient because advertiser has to pay only when a user is using their service. One of the main benefits of blockchain is to reduce the friction of middleman and allow two parties to connect directly. As of September 2018, the Storm Play app has gained over 2.4 M downloads with 250,000 active users in 180 countries worldwide. Also, Storm players have been rewarded more than 249 BTC, 570 ETH, and 234M STORM since launch. “With over $32 million worth of Storm Tokens sold during the 2017 Crowdsale, Storm Token is a premium cryptocurrency reward used to fuel the world’s largest blockchain-supported microtask platform,” remarks Yu. Forging ahead, with a lot of requests and positive responses from iOS Beta users, the team of StormX is planning to launch Storm Play on the App Store soon.